There are little variations in the batter, depending on who you ask. 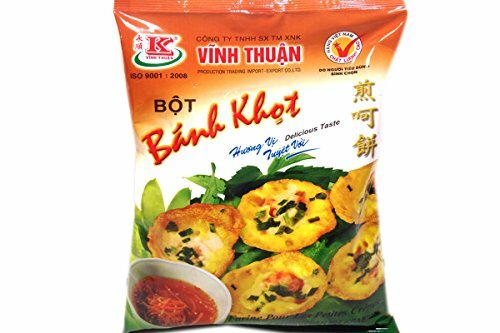 You can save yourself the time and guesswork by buying the premade Banh Khot flour mix. They are sold in many Asian supermarkets alongside all the other small bags of premade flour mixes. Banh Khot is very similar to its sister dish, Banh Xeo, or Vietnamese sizzling crepes. The two dishes are wrapped in leafy greens and dipped in a spicy and sweet sauce. However, the Banh Khot is much smaller and thicker than the Banh Xeo. If I have to choose between the two, I would definitely opt for Banh Khot because who doesn't love food in bite-sized forms? Eating Banh Khot requires assembly, making it a fun social experience that is often shared with families and friends. To eat Banh Khot, you stack an assortment of leafy greens and herbs in the palm of one hand, place a fried Banh Khot in the middle and roll everything up. Then you dip the rolled Banh Khot in the dipping sauce. Contrastly, Banh Khot can be one of those foods that excuse you from having conversations and socializing altogether. You are either wrapping, dipping or chewing, making it the perfect food to be antisocial! In Vietnam, you can find Banh Khot sold in fancy restaurants or right out on the streets on rollaway carts. For me, I prefer the latter where you sit on tiny plastic stools and eat off flimsy tables with the sound of motor bikes an inch away, threatening to end your life in a blink of an eye. Now, that is a good time, my friends. In a small bowl, combine the shrimp, whites of green onions, garlic, salt and pepper. Marinate for at least 30 minutes. Make the scallion oil by combining the green part of the green onion and 1 teaspoon of vegetable oil in a microwave-safe bowl. Microwave for 30 seconds on high. Whisk together all the batter ingredients. Place the dried shrimp in a food processor and chopped until fine. In a regular frying pan, heat a tablespoon of vegetable oil on high. Add the minced shrimp and lightly toss until completely dried and toasted. Remove from pan and set aside. Heat the Banh Khot pan on high and add about 1/2 teaspoon of vegetable oil to each well. Make sure to coat the oil all over the inside of the wells. Add about 1 tablespoon of batter to each well. Quickly add shrimp on top of the batter. Place a lid on the pan and let the batter cook for about 3-4 minutes. Remove the lid and let it continue cooking for another minute without the lid. Brush a bit of scallion oil over each Banh Khot and add a dash of the toasted dried shrimp on top. Remove the Banh Khot from the pan with a spoon, starting from the edges and scooping inward. If the batter breaks apart or stick to the pan, it might not be done yet. Continue to let the batter cook until crispy on the outside before trying to remove again. Serve with your favorite Vietnamese herbs and a bowl of sweet and spicy dipping sauce. Below is a video of me making Banh Khot at home. I just love the sound of the batter hitting the hot frying pan. Before cooking, make sure you have all your ingredients lined up and ready to go. 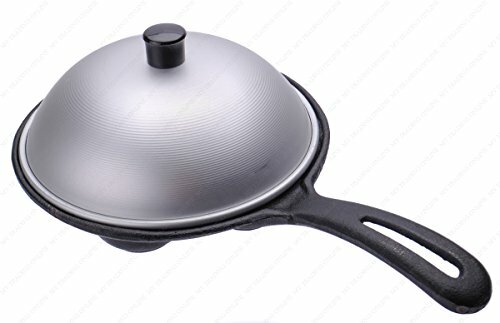 Once the batter hit the sizzling pan, it cooks up fast. You want to put the shrimp in the batter while the batter is still uncooked. Swift hands are a must!